How To Find The Perfect Neighborhood! It’s every homebuyer’s worst nightmare: moving into a new home only to realize the neighborhood is a completely wrong fit. Your neighborhood is much more than your address; where you decide to live can impact your entire lifestyle, and decisions like these can’t be made in a hurry. When you buy a home, you’re making a commitment to yourself, the property, and, that’s right, your new neighborhood. Before you begin looking at homes and planning your next move, make sure you know how to thoroughly research a neighborhood to make sure it’s the right choice for your lifestyle. Even if you already feel familiar with an area, it’s never wise to buy property without first learning about the surrounding town’s crime rate. There are a myriad of websites that can provide some insight to crime reports and recent criminal activity in a given area, however, it’s best to get your information from a primary source when you’re making such an important decision. Call the local police department and ask for a log of recent police calls regarding crimes that occurred in the area over the past 12 months or so. Remember, not all reports may make their way to the Internet, so contacting the authorities directly will paint a more accurate picture of the type of crime that exists in the area. Whether you have children in school or not, the public schools in your neighborhood will inevitably affect property values; neighborhoods in high-performing school districts will always see higher demand than those with poor-performing schools. GreatSchools.org is an excellent resource for researching local schools—both public and private! You can locate property tax records by either visiting the county tax assessor’s office or using the county’s website to look up public property tax documents. You may be surprised by how much property taxes can vary from one town to the next. Write down a list of the different neighborhoods you’re considering, and record recent property taxes over the past several years so you can eliminate areas that may be too expensive. Do you drive your own car or use public transportation? Would you rather live close to shopping and restaurants, or do you prefer a more rural setting? Are you willing to live in an environment unlike the one in which you currently live? Consider these questions as you’re researching each neighborhood, and map out the possible routes you would take to access important amenities such as grocery stores, major roadways, restaurants, etc. Unless you work from home, you’ll need to familiarize yourself with your new daily commute. If possible, drive to each neighborhood on your list before the start of your workday so you can fully experience what it would be like to travel to work during your regular commute time; it’s not a bad idea to practice driving “home” from work to your desired neighborhood, either. Your Realtor will likely be able to provide some information on the demographic of each neighborhood you’re considering, but it never hurts to go straight to the source! As you’re viewing homes for sale, don’t be afraid to strike up a conversation with neighbors to learn what you may (or may not) have in common. Most HOAs, or homeowners associations, will charge an annual fee to provide some type of benefit, in addition to requiring members to adhere to specific guidelines. The specific terms and cost of an HOA, however, can vary quite a bit from one neighborhood to the next. Be sure to inquire about whether or not the homes you’re interested in are a part of an HOA, and if so, find out the specific costs, benefits, and requirements of a membership. 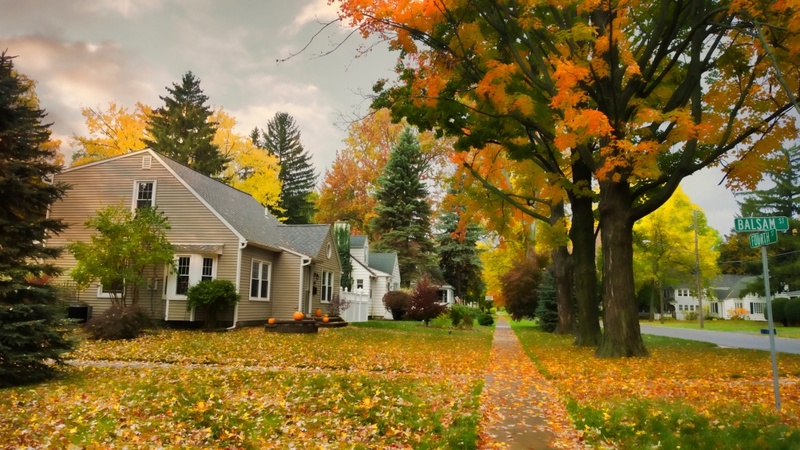 Don’t make an offer on a home before you’ve had the chance to become well-acquainted with the neighborhood. This means visiting the area numerous times, so you can see the neighborhood in the morning, afternoon, and evening on weekdays and weekends. If possible, try to visit the neighborhood during a holiday as well, so you can see whether or not you’ll need to deal with traffic or crowds during peak seasons. Keep in mind, not all neighborhoods are created equal. Are you willing to sacrifice certain aspects of your lifestyle, or do you have needs that must be satisfied? For instance, if you regularly see a health care specialist, then make sure the medical care you require will be easily accessible in your new location. Or perhaps you may need daycare and child-friendly activities for your young family; make sure these types of resources are available before you commit to a neighborhood. Are You Preparing To Buy A Home Soon? Make sure you check out CastleRock’s nationwide inventory of homes for sale below! There’s nothing more exciting than planning your next move, and we’re happy to help you every step of the way. If you have questions about any of our listings or would like to learn more about our financing options, please contact our team of friendly professionals today! Don't Forget Your Opinion Matter To Us! To Learn More about CastleRock REO, fill out and Submit the form below! Looking For LAND?! CastleRock's Land Properties Under $10k!